What Does Code P0029 Mean? OBD II fault code P0029 is defined as “Exhaust Valve Control Solenoid Circuit Range/Performance (Bank 2)”, with “Bank 2” denoting the side of the engine opposite that contains cylinder #1 on engines with two cylinder heads. Code P0029 is set when the PCM (Powertrain Control Module) detects a fault in the electro-hydraulic control system of the VVT (Variable Valve Timing), or VCS (Variable Camshaft System). The code setting parameter is generally a voltage variation that exceeds 10% of the reference voltage for the exhaust camshaft actuator for that particular application. Consult the relevant manual for the exact value of the voltage variation that will set code P0029 for the application being worked on. Since the engine oil is the agent that transfers power to the actuator that ultimately controls the exhaust valve timing, it should be obvious that oil of the correct type, viscosity, and cleanliness is crucially important to ensure the proper functioning of these systems. 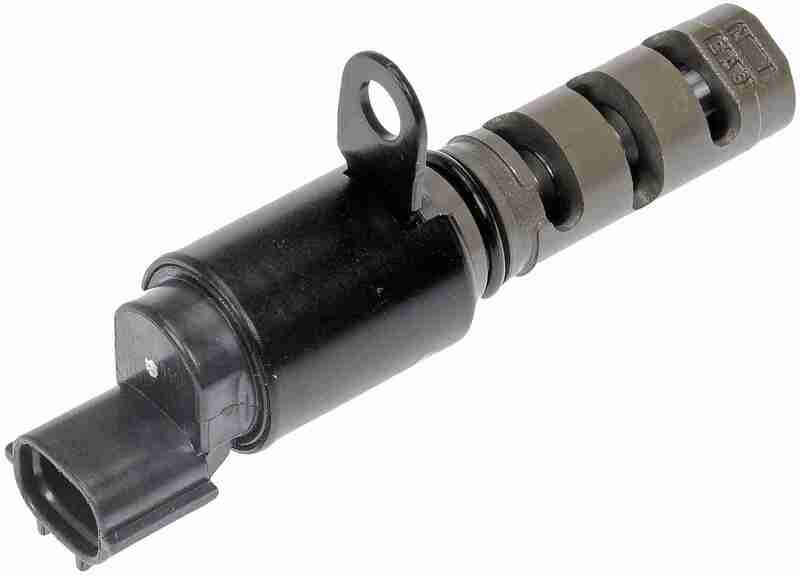 The image below shows a typical VVT control solenoid. What are the common causes of code P0029 ? What are the symptoms of code P0029 ? Hard starting when jammed/damaged actuators do not allow valve timing to return to base settings. Note that in these cases, other codes that are closely related to P0027 might be present. How do you troubleshoot code P0029 ? If the engine oil is at the correct level, and of the correct type and grade, perform an oil pressure test to verify that the oil pressure is within specification. Low oil pressure is major cause of code P0029. If the oil pressure does not conform to specification, locate and repair the cause before commencing with the diagnostic procedure. One other, albeit unlikely, possibility involves a possible defective PCM, but PCM failures are exceedingly rare, meaning that all other avenues must be explored to trace and correct the root cause of code P0029 before the PCM is replaced. P0027 – Relates to Exhaust Valve Control Solenoid Circuit Range/Performance (Bank 1), with “Bank 1” denoting the side of the engine that does not include cylinder #1. Codes P0026 and P0028 refer to the same problem and fault condition in the VVT or VCS control systems of the intake side of Banks 1 and 2 respectively. None found. Ask a question about P0029.